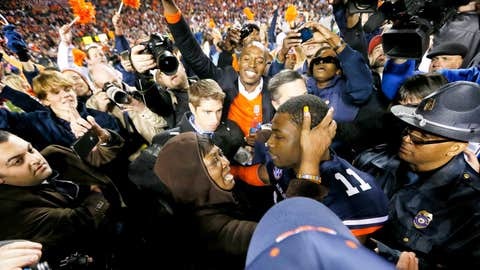 Chris Davis' game-winning touchdown will never be forgotten in Auburn. Chris Davis will forever be remembered at Auburn. Taking back a missed field goal for an unlikely TD with no time left to beat Alabama will do that for you. But Davis is still a college kid, so on Monday he had to go to class. Well, his classmates were more than happy to see him.